always be the case with my experiments, this one has not worked out too well. When I moved here, I planted what I had; amaryllis, pigeon peas, canna indica, and confederate rose. Along the way I picked up brugmansia, more cannas, and grew a yellow dwarf poinciana from seed. I already had three large tropical hibiscus in one bed, so I made that my shade garden, with a groundcover of green and purple wandering jew and peacock gingers. When I got here, there was already a huge elephant ear and a banana, so those were allowed to grow as well. My thought was that I needed to create shade for my tropicals, but that didn't work out too well either. I ended up with too many large plants in too little space. They shaded out the flowering plants I wanted to thrive, and forcing other plants to grow out of control trying to get to the sun. Also, two of them refused to bloom, so I just have these two huge green plants in the garden, with no benefits whatsoever. I wanted a butterfly garden, so I planted voluminous amounts of butterfly weed in one garden, and it grew like mad. Unfortunately, I did not get one single Monarch from all the caterpillars that hatched there due to the critters eating all the eggs and larvae. It broke my heart. I know this is just nature, but it's hard to accept nevertheless. 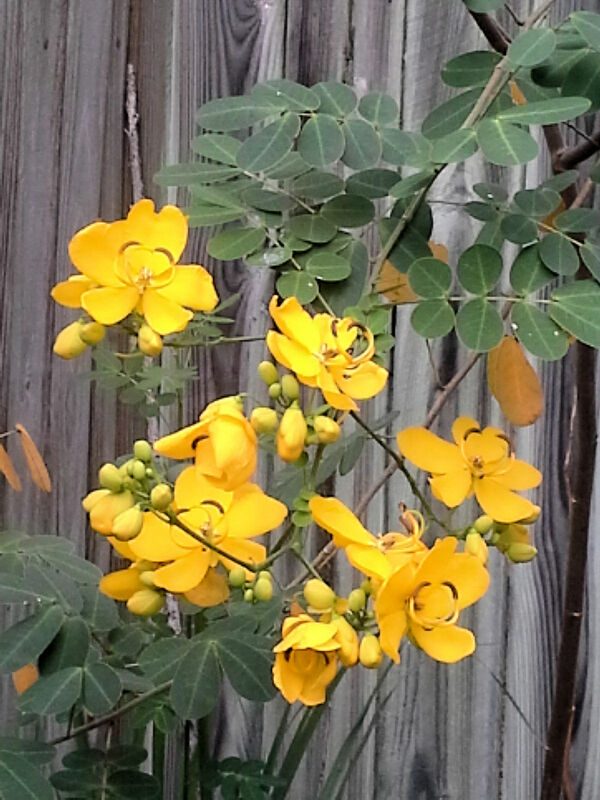 The same story went for the cassia planted for the Sulphur butterflies. To top it all off, the butterfly weed didn't even bloom well this year. So that experiment is coming to an end. From now on, I'll plant nectar plants for butterflies, and not worry about the larval plants at all. I wanted a permaculture garden, and I worked so hard at it. I raked leaves to use as mulch, layered chop-and-drop cuttings around the plants in the garden, composted all my kitchen scraps, and didn't use any fertilizers or insecticides. The problem is, I got a lot of green and no flowers or fruits. Yes, the earthworms loved it, and I do love my earthworms, but I want flowers. In the future, I'll keep mulching with leaves, but I'm also going to use fertilizer to get more flowers. I used just a bit this past spring, and was shocked at how fast everything grew in the summer, but still, not enough blooms. I'm going to rip up almost everything in the gardens and start over. I'll be growing a lot of annuals from seed to attract pollinators and try again to grow a few edible plants that can take partial shade. 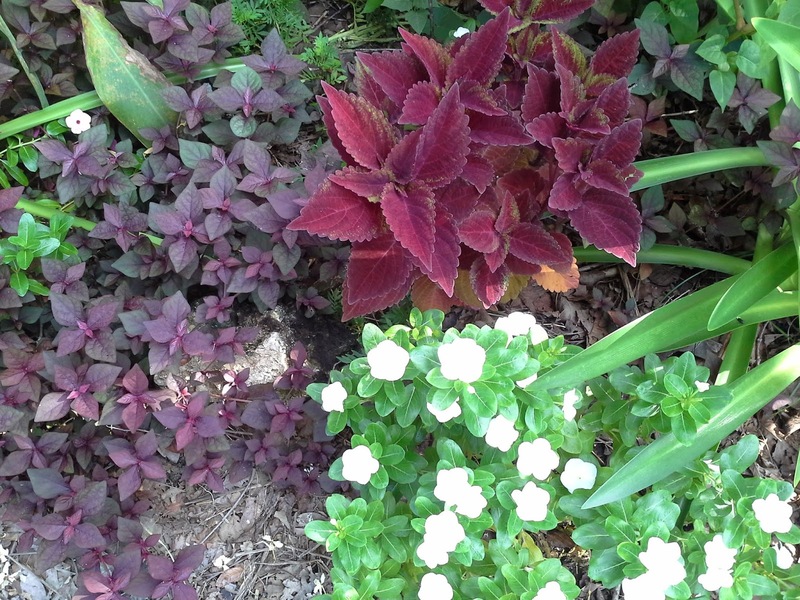 Plants with colorful leaves will mingle with marigolds, zinnias, and other bright annuals. The Four-o'clocks will be gone, because I want things that bloom during the day. I'll also be growing more plants for the hummingbirds. I don't know what to do about the critters, but I'm sure that once they find no butterfly larvae to eat, they'll be moving on to greener pastures; at least I hope so. I like lizards and frogs for keeping the roaches and other baddies away, but I don't need this many of them. I'm going to use systemic insecticides to stave off my usual horde of whiteflies on the hibiscus. I'm determined to get the Confederate Rose to bloom, and the whiteflies and thrips ruin it every year. No more! I've tried every organic means of control I can find, and sometimes, you just have to pull out the big guns. Before I tried permaculture, I was always semi-organic. I used some organic methods, but was not against using chemicals when warranted. Here, I've found that I need some judiciously applied chemicals for pest and fire ant control. I'll use the chemicals judiciously, so as not to harm pollinators, but I want things to grow and bloom, and I want to spend less time fighting with the baddies. There were things I planted that I thought would be great ground covers, but they've turned out to be so invasive that I consider them pests now. One of them is sweet potato, and the other is Little Ruby alternanthera. They have to go! The Little Ruby will be especially difficult to get rid of, because it reseeds prolifically and one little node left in the ground grows another plant, so this is something I'll have to just keep at. The sweet potatoes are another problem altogether. Where I originally planted them, they grew into and around oak roots, so I can't dig them out. I'll just have to keep pulling off foliage until the tuber finally dies. I pulled up a lot last year, but I still have work to do. 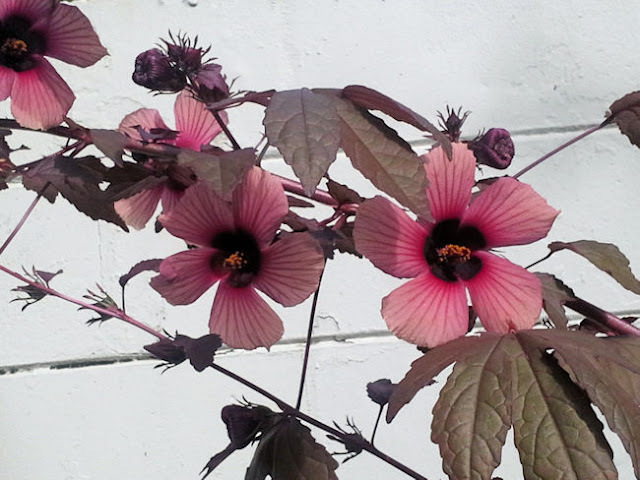 The perennial hibiscus are a bit invasive, but their seedlings are easy enough to pull, and I can also sell those, so that's not so bad, but I am going to only have one of each in the future. 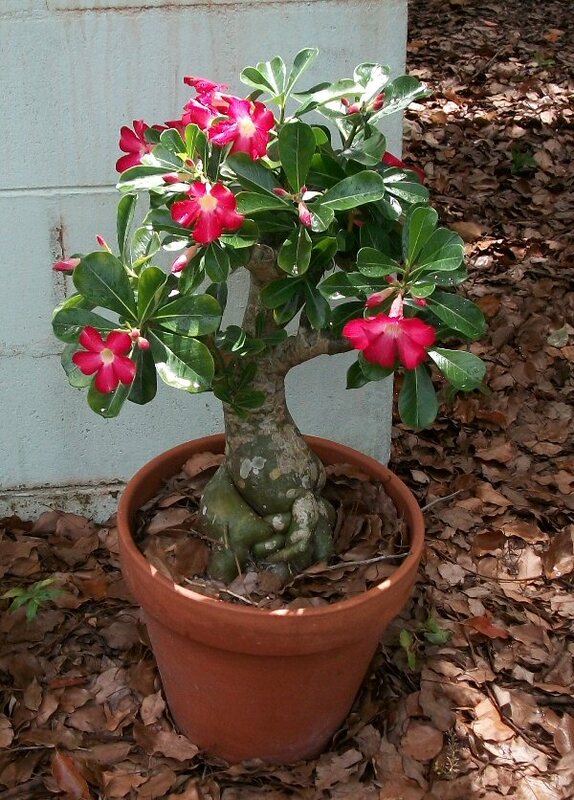 With the exception of a few favorite houseplants and tropicals, I'll be getting rid of anything that isn't cold hardy. 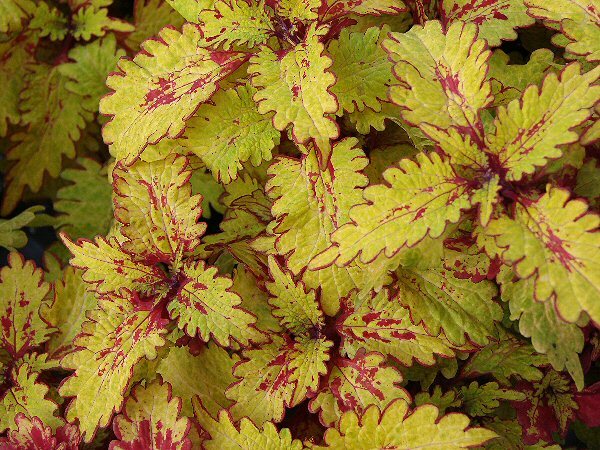 That doesn't mean the things that die down and come back, That means things that I have to overwinter indoors, such as coleus. I love them, but using my LR as a greenhouse is just no longer feasible. With the switch to mostly annuals, I shouldn't need to overwinter cuttings to start the next spring. If it can't survive the lower 20s, it has to go. So that is the new plan in a nutshell. I'm going to make the gardens more pollinator-friendly and less work overall. The courtyard is another story entirely. Stay tuned for more about that.